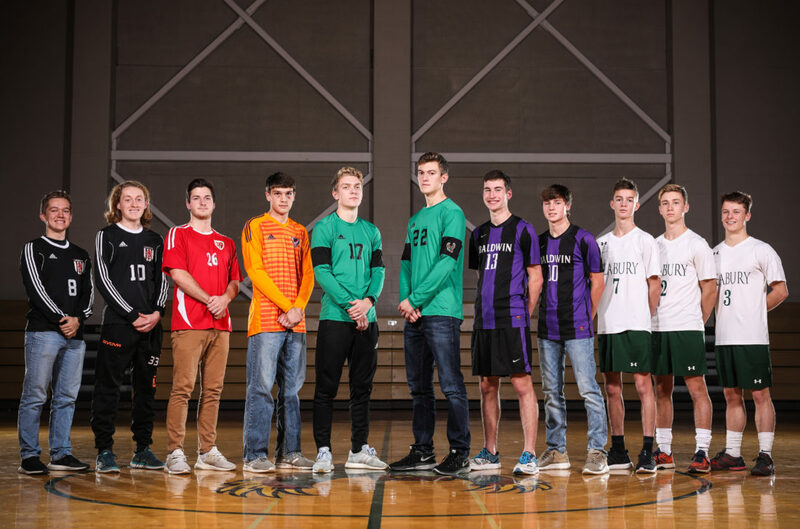 2018 All-Area boys soccer team members, pictured from left: Will Yanek, Lawrence High; Cole Shupert, Lawrence High; Gage Sommer, Tonganoxie; Nathaniel Grosdidier, Eudora; Rowan Laufer, Free State; Drew Covington, Free State; Jacob Bailey, Baldwin; Dylan Jamison, Baldwin; Freddy Comparato, Bishop Seabury; player of the year Harrison Hartzler, Bishop Seabury; Tommy Warden, Bishop Seabury. Not pictured is coach of the year Matt McCune, Baldwin. After playing outside defender last year, Hartzler transitioned to a dominating scoring threat as a sophomore. Hartzler scored 19 goals and delivered 11 assists in just 13 matches. Despite facing double coverage on a consistent basis, Hartzler led a unstoppable Bishop Seabury offense. Baldwin’s boys soccer team eventually fell in the quarterfinals to end an impressive campaign under McCune. 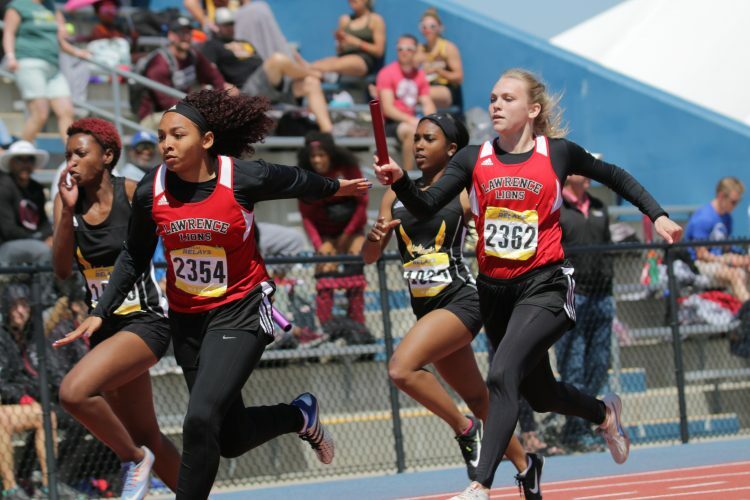 The Bulldogs, who posted a 12-6-1 record in 2018, allowed 18 goals in the regular season, which was the fourth-fewest scores surrendered in Class 4-3-2-1A. 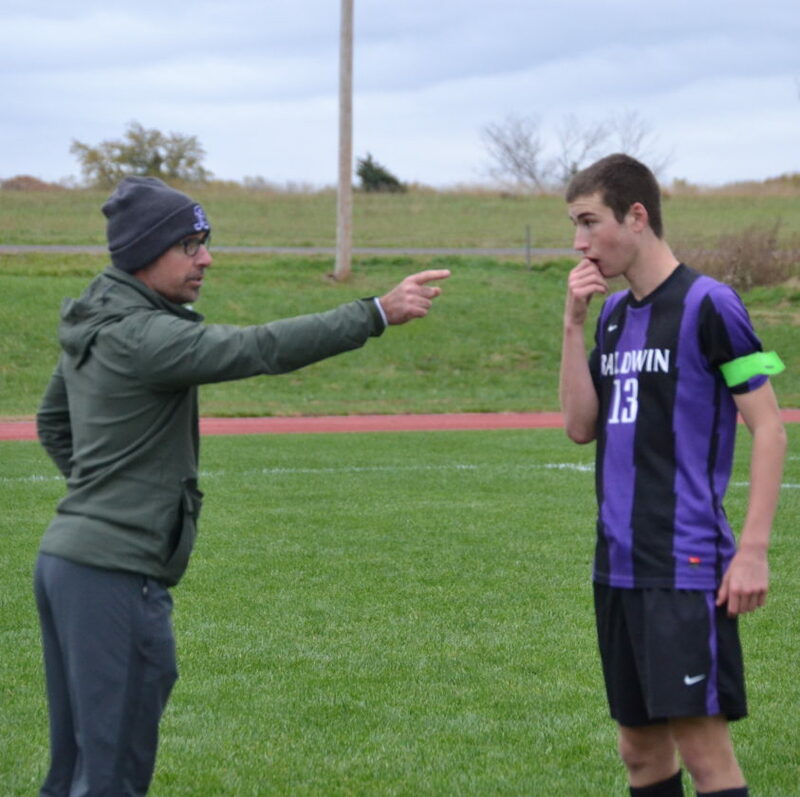 Baldwin coach Matthew McCune talks to senior Jacob Bailey during a quarterfinals match with Kansas City Christian Tuesday at BHS. Jacob Bailey, Baldwin — After focusing on just cross-country the last two seasons, Bailey returned to the soccer team to lead a powerful defense. Baldwin recorded nine shutouts with Bailey leading the backline. The senior also tallied one goal and three assists for the Bulldogs. Freddy Comparato, Bishop Seabury — The junior midfielder was the engine of the Seahawks’ offense, which averaged 4.5 scores per match this season. Comparato registered 21 assists and also scored 10 goals on the year. Bishop Seabury lost both games he couldn’t play in. 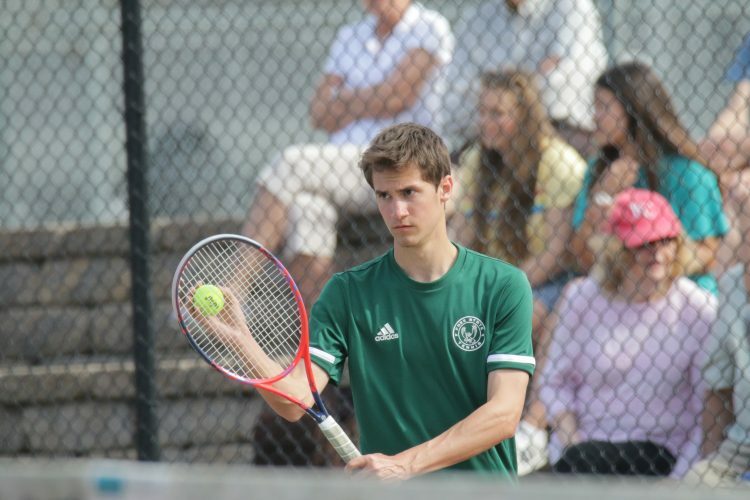 Drew Covington, Free State — The Firebirds were in a number of low-scoring matches throughout the 2018 season. Covington, a senior, was crucial to the team’s defense and served as a captain. He was named to the second team on the All-Sunflower League selections. Nathaniel Grosdidier, Eudora — In his final season as a Cardinal, Grosdidier set three school records during a 9-7-2 season. Eudora’s goalkeeper recorded five shutouts, allowing just 26 goals on the season. Grosdidier tallied 113 saves on 142 shots for a save percentage of 80 percent. Dylan Jamison, Baldwin — As a team captain, Jamison demanded the ball a lot in his senior season. The midfielder was the team’s most creative player, and was versatile as well. Jamison scored seven goals and recorded seven assists, earning a first-team selection in the Frontier League. 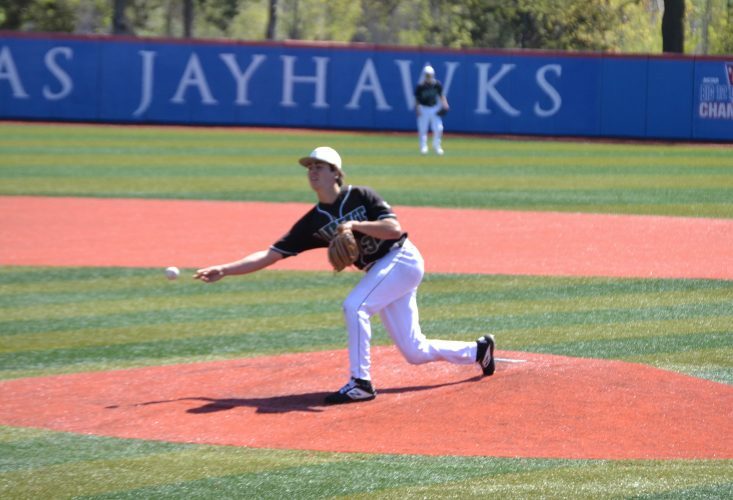 Rowan Laufer, Free State — Few players had as much of an impact on a team in this area as Laufer. After spending last year with the Sporting Kansas City Developmental Academy, Laufer returned for one last season and was responsible for 67 percent of Free State’s goals as a midfielder. Cole Shupert, Lawrence High — During his last year with LHS, Shupert was the team’s most consistent and valuable player. The senior midfielder earned a first-team selection in the Sunflower League, notching four goals and three assists on the year. Gage Sommer, Tonganoxie — Sommer was an all-around player for THS this season, serving as a captain. 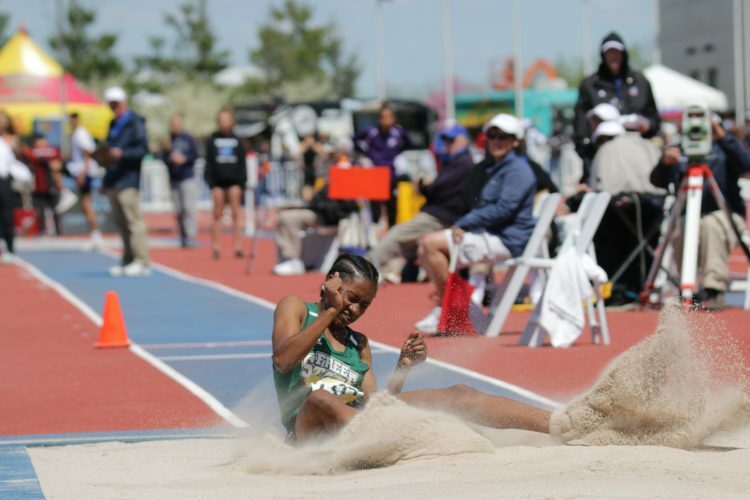 Sommer owned the middle of the field and was the best player in nearly every match. Sommer finished with five goals and four assists, and always seemed to deliver in crunch time. Tommy Warden, Bishop Seabury — There are no stats that can explain how dominant and valuable Warden was to the team. He was the fastest player and anchored a Bishop Seabury defense that won nine consecutive games during a strong season. Will Yanek, Lawrence High — The Lions were led on offense by Yanek, who was named to the second team in the Sunflower League. Yanek finished with a team-high seven goals, while also being credited with one assist as a forward. 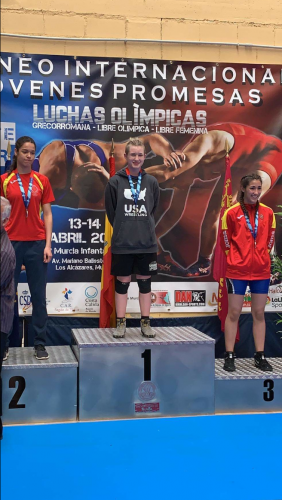 Yanek’s leadership was especially important for LHS as a captain. Erza Steinshouer, Baldwin; Matthew Jackson, Baldwin; Keaton Herron, Eudora; Caden Willits, Eudora; Dylan Meier, Eudora; Brant Arnold, Eudora; Will Davis, Free State; Wyatt Martin, Tonganoxie.